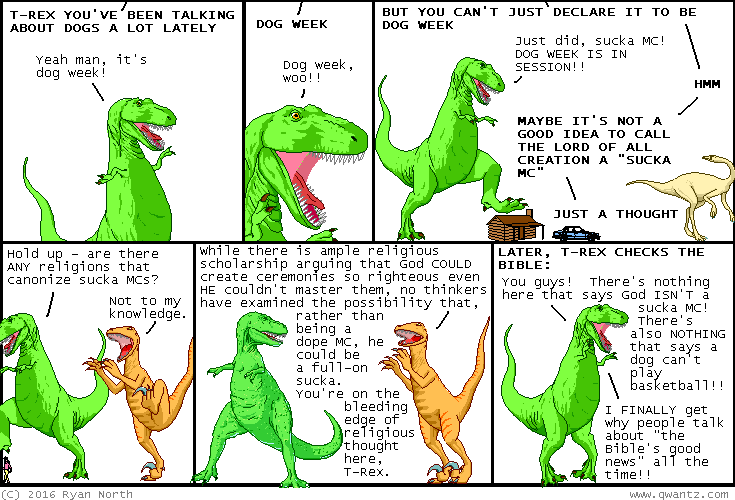 Dinosaur Comics - August 15th, 2016 - awesome fun times! –Then we have to engage in successful sexual congress producing offspring!! August 15th, 2016: DCAF was super fun, and the highlight had to be when a real-life magician came over with his bunny and then I got to pet the bunny.